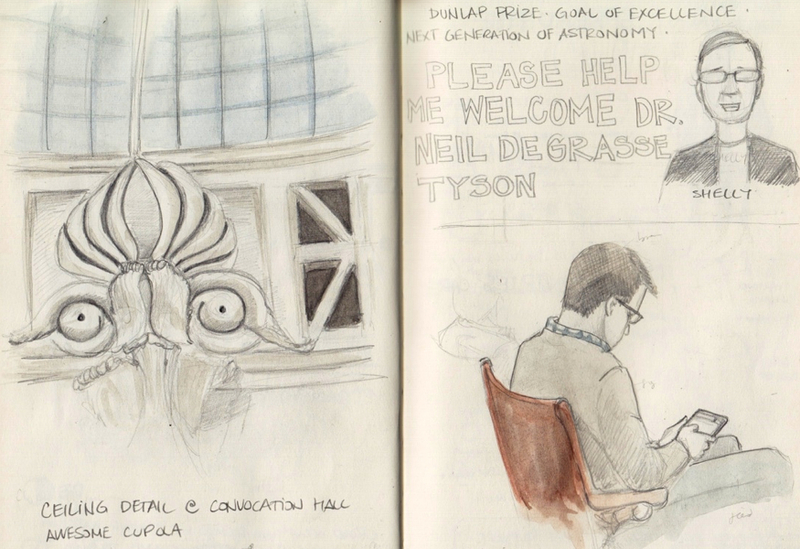 I got a chance to attend Neil DeGrasse Tyson's lecture the other day at the Convocation Hall of the University of Toronto. Since Dr. Tyson is kind of a big deal, the organizer's repeatedly reminded us to be there in advance and that any empty seats would be given away after a certain time if the ticket holders didn't show up in time. So I made sure to be there in advance and brought my sketchbook to do a bit of urban sketching while waiting for the lecture to start. 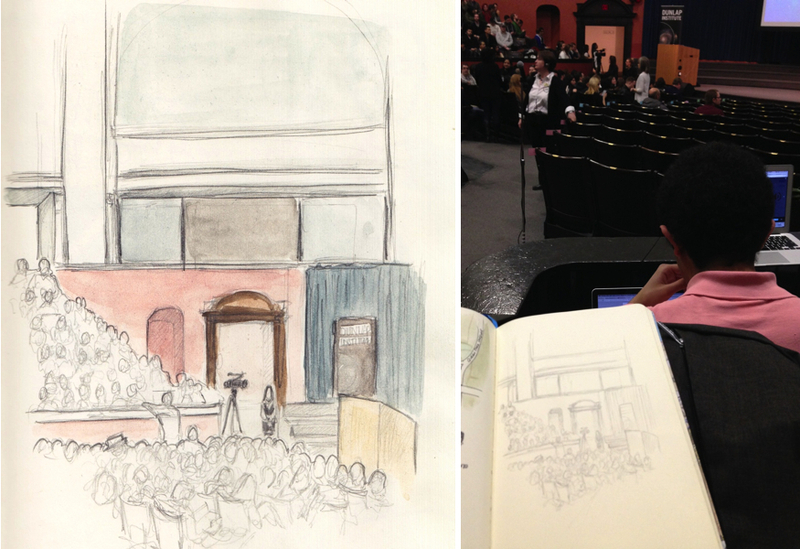 I first sketched the crowd and view from my seat. I was lucky to get a seat where I had a great view of the stage and screens. People around me were keeping busy playing guessing games, talking and watching videos of Tyson on their laptop. There ushers were making sure every seat were occupied. They did a good job organizing the crowd. Each areas were filled in sections as people came it. The main floor was filled before people were directed to the balconies. The convocation hall has great architectural features. It has a cupola with interesting carvings around it. I attempted to reproduce one of them. On the right is one of the attendants who was reading from his tablet while waiting for the lecture to start. After the initial introduction, I switched to sketchnoting.